Personalized Bottle Holder Carabiners Custom Engraved or Printed in Bulk or Blank. Promotional, Inexpensive. Budget Prices in the USA and Canada. 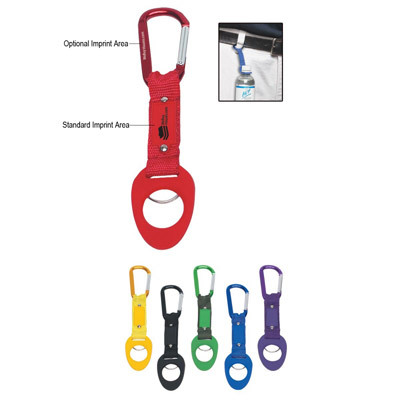 Wholesale advertising Carabiners with Bottle Holders with your choice of custom engraving in White or pad printing in up to 2 colors: same price. Lowest cost in North America. Free Art Design. American Clients pay no taxes.